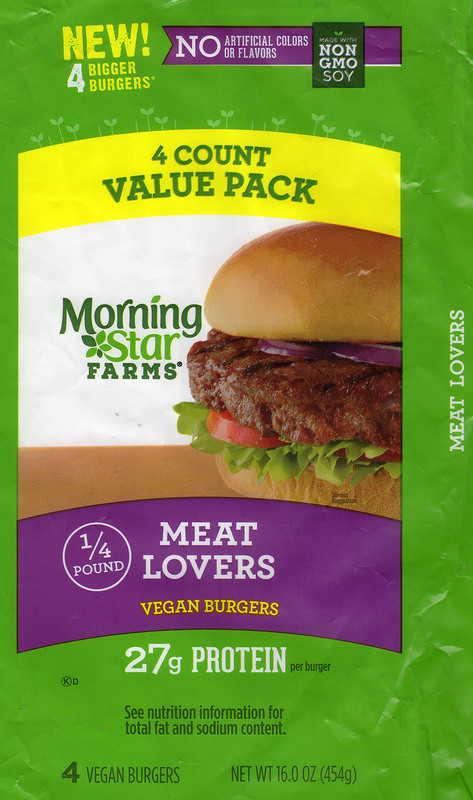 Are MorningStars Farm Meat Lovers Vegan Burgers any good? We found this new vegan product a mixed bag. 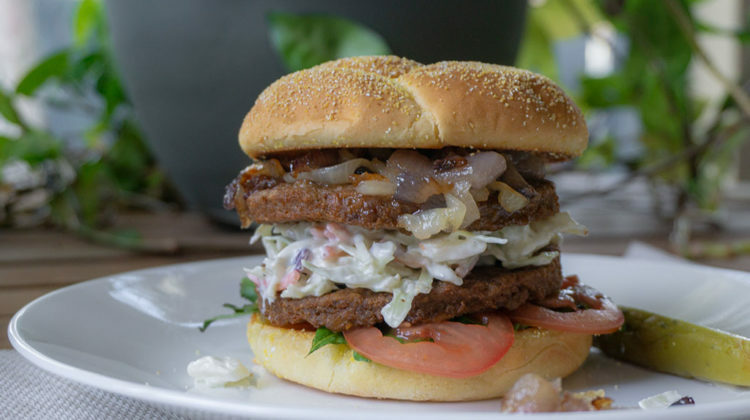 Certainly the texture is great, meaty and firm – this would be a solid burger for the grill. Taste wise we found the product little variable and influenced by topping and cooking technique. I have to imagine this product release has been highly anticipated by many. 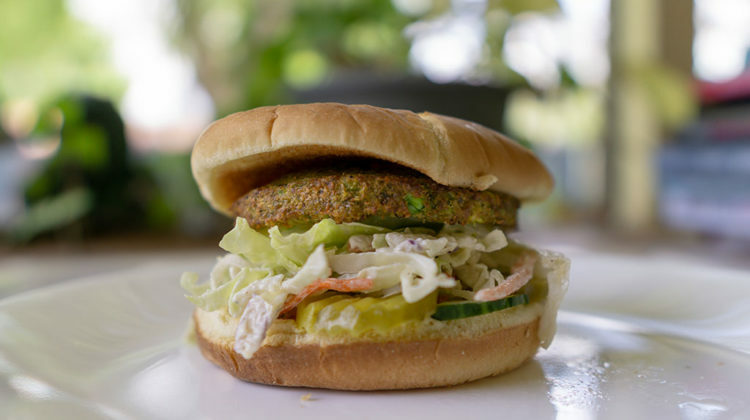 MorningStar Farms make some of the best meat free products on the market. That said, there’s a fairly large elephant in the room; with only a few exceptions, most of the MorningStar lineup isn’t vegan friendly due to the use of egg as an ingredient. 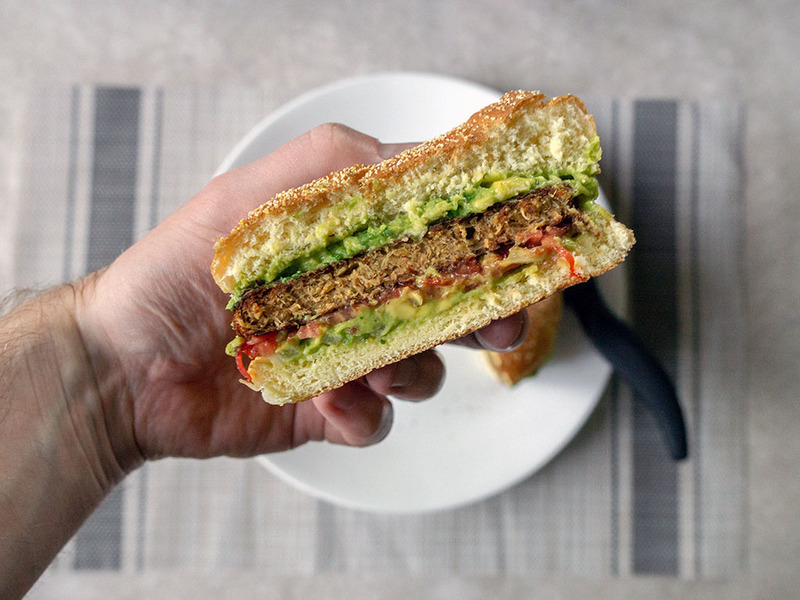 With the massive uptick in vegan cuisine the last few years, this has meant the product hasn’t been accessible to a rapidly growing contingent of diners. 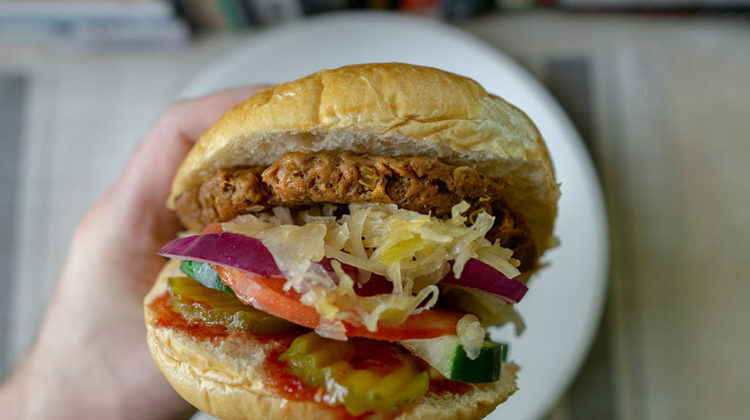 There’s no doubt a company of this size hasn’t considered this sizable market in detail, and as such, their newer products such as the pulled pork are increasingly vegan friendly. 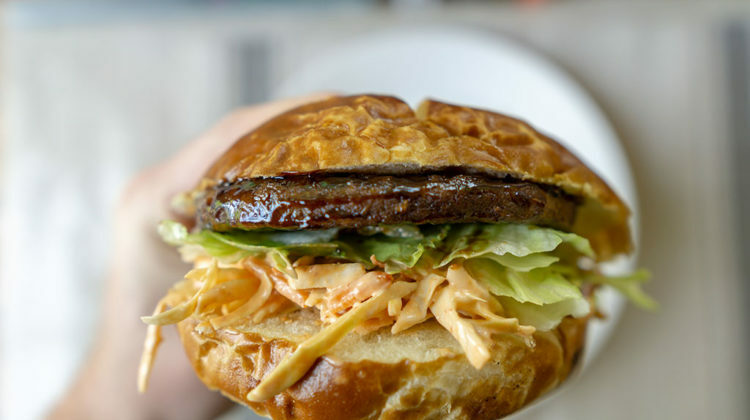 So how does this particular burger stack up in a hotly contested field? First up I found the flavor of these burgers, perplexing to nail down. They have a very strong, pronounced flavor, somewhat smoky. These first couple I ate, I loved. The second couple I ate, I really didn’t care for, noticing a really strong and unpleasant after taste. The pan cooked patties seemed to fare way better than the microwaved, and the more toppings the better. 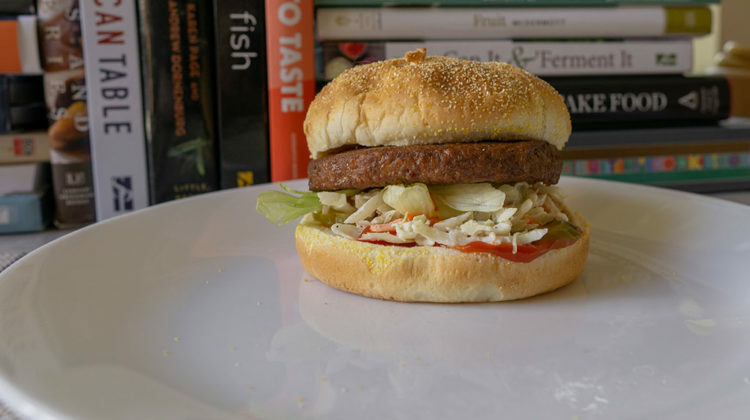 My worst experience was with a relatively plan patty direct from the microwave to bun and with minimal toppings. 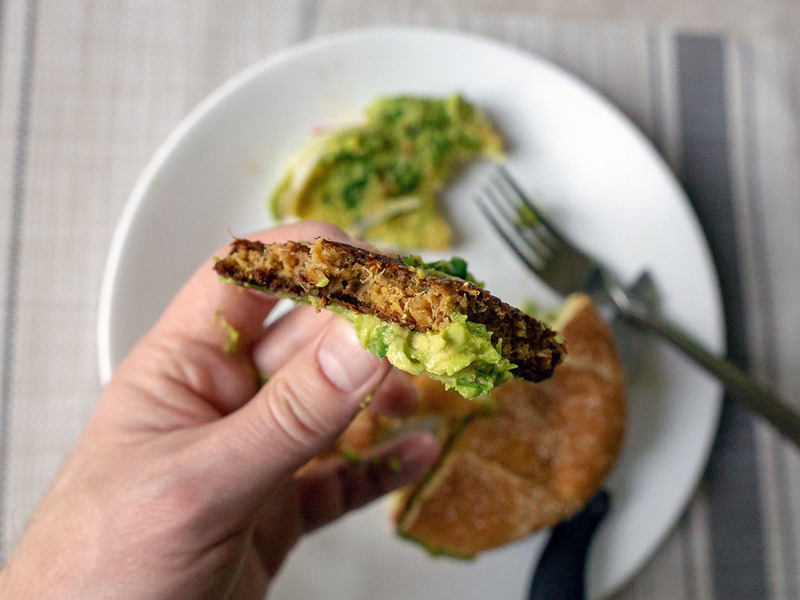 Texturally these vegan burgers are great. They’re big, bold, meaty monsters that are extremely satisfying. 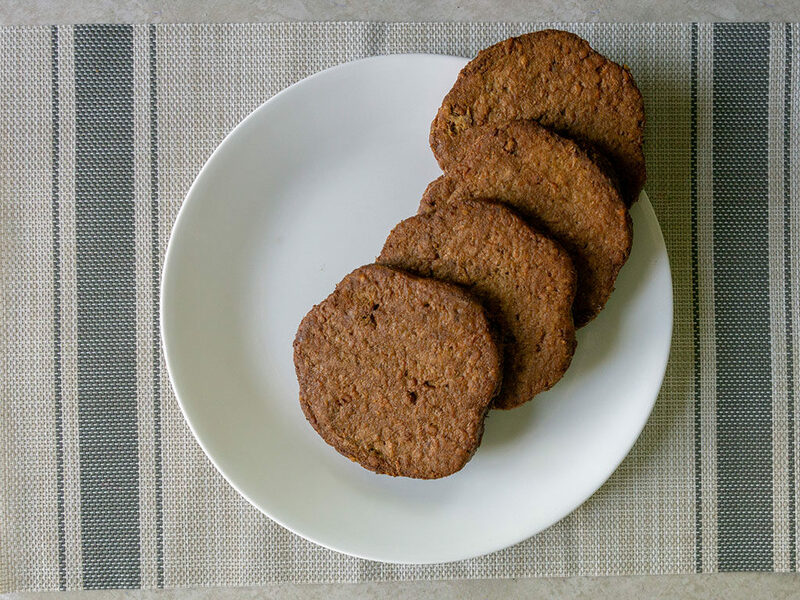 At nearly four ounces per patty they’re one of the biggest on the market and it shows right out of the bag. Check out the nutrition below too, these are an anomaly in the companies product range packing in more calories than you’d usually expect. 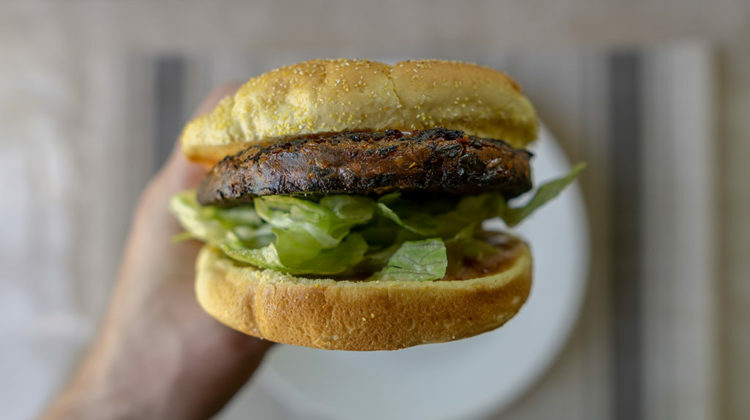 Given my love of other MorningStar Farms products, I really wanted to like this burger more than I did. 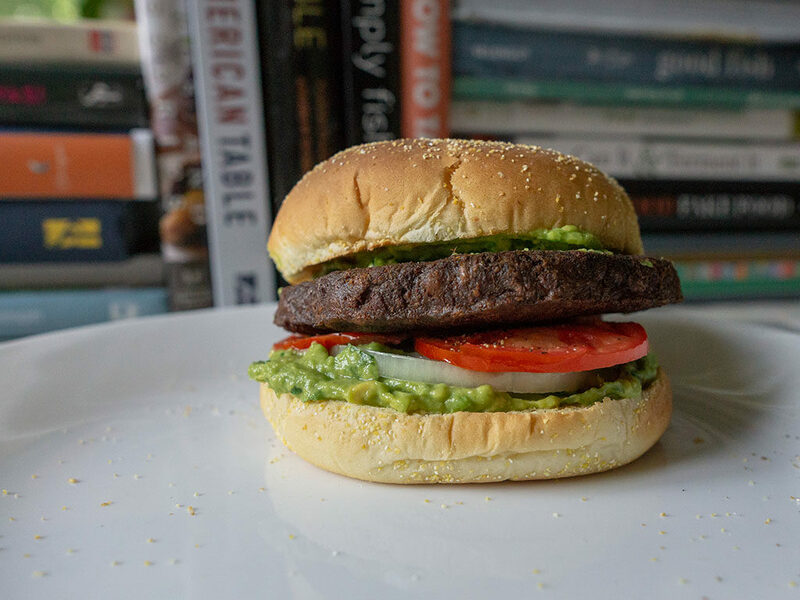 I hope to try the burgers again, and test a few different cooking techniques to see if there’s a trick to getting more out of the flavor. I’ll report back. Four burgers come in the plastic bag, which is thankfully resealable. I’m always happy when I find a manufacturer take this little extra step with a frozen product. That said, I do find it particularly easy to break the press down seal on MorningStar bags like this – it’s entirely possible that’s just my own hamfisted ways though. 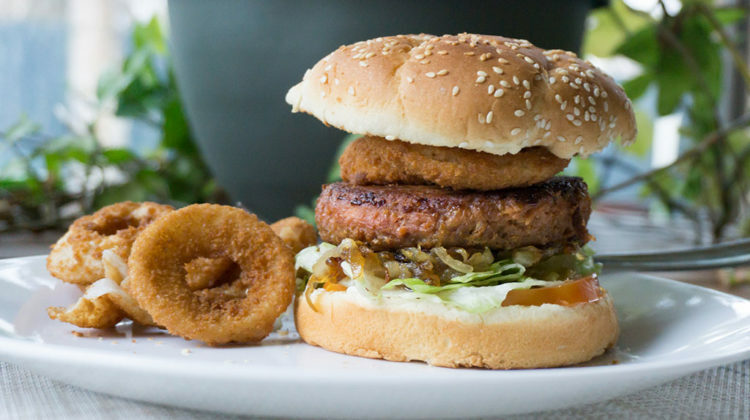 To give you an idea how the burgers cook up and look, here are a few of my initial creations. 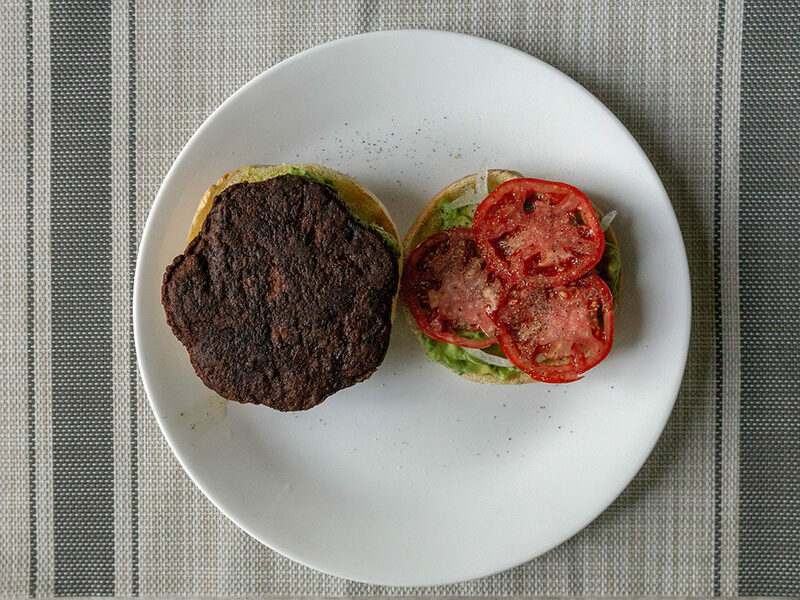 The first is a pan cooked patty on a guacamole burger, and the second is a regular burger with a few veggie toppings cooking in the microwave. You can cook these pretty much anyway you like: the microwave, the oven, in a pan or on the grill. I didn’t get to try the latter, but these have a very sturdy make up, I’m sure they’d do well on the grill. In fact I think they’d even benefit from the extra char and smoke flavor. No doubt that’s why this is the recommended cooking method. I should note that I found the pan cooking instructions excessive, resulting in a far too crisp patty; I’d cook just a little less if I cooked these in the pan again. Nutritionally these pack in a whopping 27g of protein, which is up with some of the best in this class; on the flip side there’s a hefty amount of fat here too, which MorningStar products don’t often see. 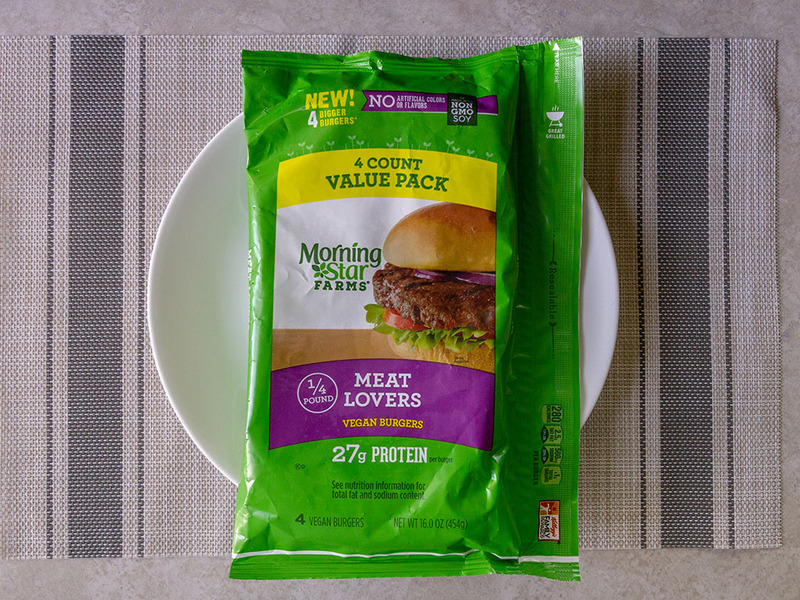 MorningStar Farms Meat Lovers Vegan Burgers – what’s a fair price? My local Walmart charged $6.48 for this bag of four, which is unusual high for a MorningStar Farms product of this size. Their four count burgers are normally around the $4 or less mark. I imagine the increased price is due to the novelty of product, but for me, it’s too high. There are better options on the market at this price point. 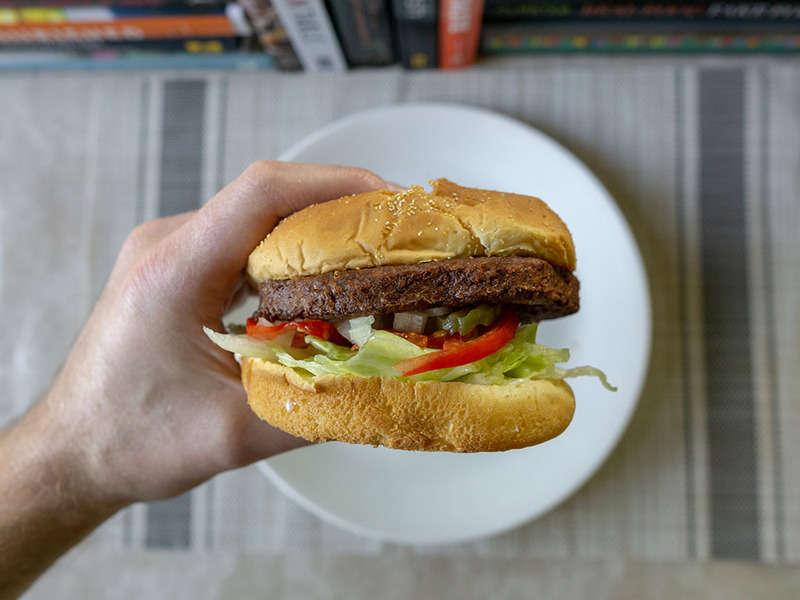 Just tried the Meat Lovers Vegan Burger. Texture and flavor great. My only criticism is the cooking instructions for the skillet, which recommend 18-20 minutes (flip halfway through). I cooked 9 minutes on one side, decided it was way too long, and cooked the other side for about 5 minutes. It came out overcooked and dry. 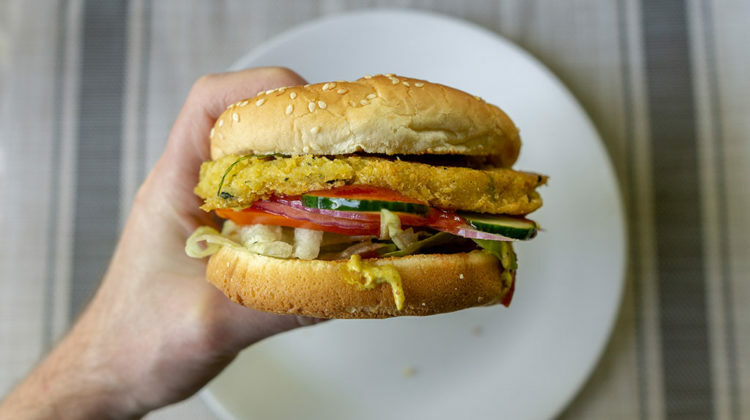 18-20 minutes for a fairly thin frozen burger is toooo long. No doubt it will be perfect if cooked for less time. Will definitely buy again. 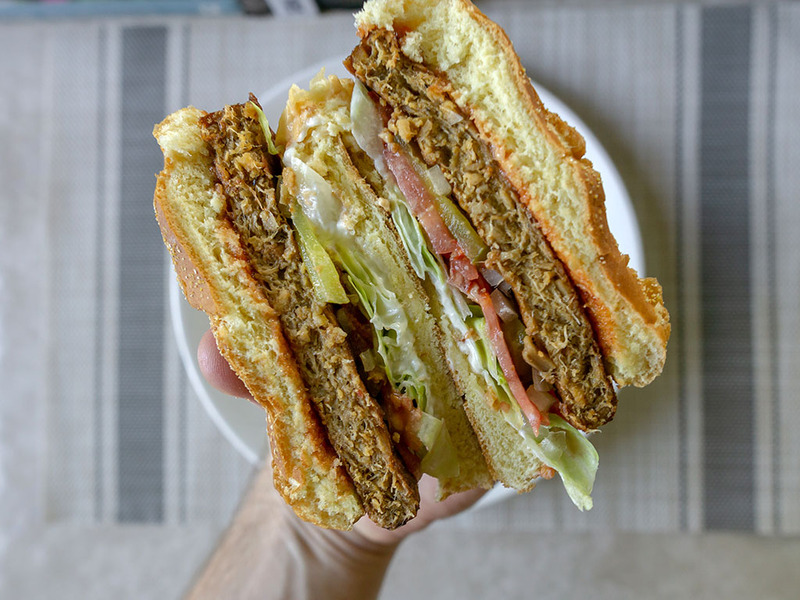 Contains a lot of fat but doesn’t seem at all greasy as the Beyond Burger does (although I like that one, too).